We are in the middle of one of the biggest cultural and technological shifts since the Industrial Revolution. We’re only a couple of decades into “the Internet” and already companies like Amazon are delivering packages with drones within an hour of placing the order. We can use our iPhones to unlock our front door, turn the lights on in the kitchen, brew coffee, and start a load of laundry...all from the office! The way we market ourselves and our real estate business needs to keep up with the world we live in. The good old days of only sending Just Listed mailers and calling FSBO’s are dead. The ground has shifted underneath our feet and most of us won’t realize it until it’s too late. As REALTORS®, we can choose to either embrace technology and social media, or we can put up our dukes and resist. For those of you who initially resisted joining Facebook, you’re now not only on Facebook, but you love it because you finally see its amazing ability to market real estate and ourselves. Facebook is great and should continue to be a big part of your online presence, but it’s old news. Snapchat is a video messaging app where you can take photos, record videos, add text and drawings on top of them, and send them to your followers. The photos and videos you send are called "Snaps." Users set a time limit for how long recipients can view their Snaps (from 1 to 10 seconds). Because the Snaps disappear after they’re viewed, you’ll have your followers’ undivided attention! They won’t be scrolling through a news feed at hyperspeed, because there is no news feed. It’s all about attention – keeping the attention of those we want to see our message. This is exactly why I’m jumping on Snapchat to market my real estate business in 2016, and why you need to as well. We live in an On Demand world – a world in which many of us legitimately get pissed off when another human being calls us. Be honest! You too have been irritated by a phone call at a time that was not convenient for you. You would’ve preferred a text. Why do we now prefer texts to phone calls? Because a text can be read and responded to on our time, when it’s convenient for us. Netflix put Blockbuster out of business because they gave us the ability to watch what we want to, when we want to. Same thing with Uber disrupting the taxi cab industry. We want everything on demand. Snapchat allows our followers to open our Snaps when they want to see them. With Snapchat, you can keep someone’s FULL attention! Where else in our society can you do that? Real estate is visual. Videos and photos are everything, and that’s exactly what Snapchat is all about. I like to record Snap videos when I’m previewing a home. If the home for sale has a great view of the Salt Lake valley, I Snap it, and sometimes with a little narration. The viewer of the Snap will get a feel for how the view looks in person. They can then message me from within Snapchat and request more info about that particular home. Do any of your listings have unique aspects that you want people to see? Go record some Snap video that shows them off. It’s much more effective than a few eloquent words buried in your MLS description. The other night on Snapchat, I showed off some new smart home technology at Home Depot. My followers saw some cool new smart home gadgets, learned how they work, and now they know to watch my Snaps if they want to hear more about smart home technology, not just real estate. I add these Snaps to My Story, viewed as one long string of photos/videos, which allows me to create a few minutes of valuable content for my followers. A “story” collects all your snaps together in one place and is visible to all your followers and friends for 24 hours. Who is already using Snapchat to advertise? Movie studios like Columbia Pictures are using Snapchat to deliver movie trailers or exclusive extra content to their followers. They are now putting Snapcodes on their movie posters for new movies like “The 5th Wave.” Are movie studios just wasting their time and money advertising on Snapchat? Doubtful. I believe they simply see where the world is moving and are getting in ahead of the wave, not behind it. Additionally, some major brands like CNN, Comedy Central, ESPN, Mashable, and National Geographic are part of Snapchat Discover, where these brands highlight exclusive Snapchat video content & articles, and then direct viewers back to their websites. Want to learn how Snapchat works? Simple – YouTube it. There are countless How To videos on YouTube to teach you how Snapchat works. Learning to tell stories on Snapchat is key, so follow marketing influencers who are already doing it successfully, and follow their lead. Take social media and marketing genius Gary Vaynerchuk for example. If I had to choose just one marketing/business expert to follow on Snapchat, it’s him. (username: garyvee) Watch how he uses Snapchat, and follow his lead. Gary is a true Snapchat master. Watch how I’m using Snapchat for real estate as well. 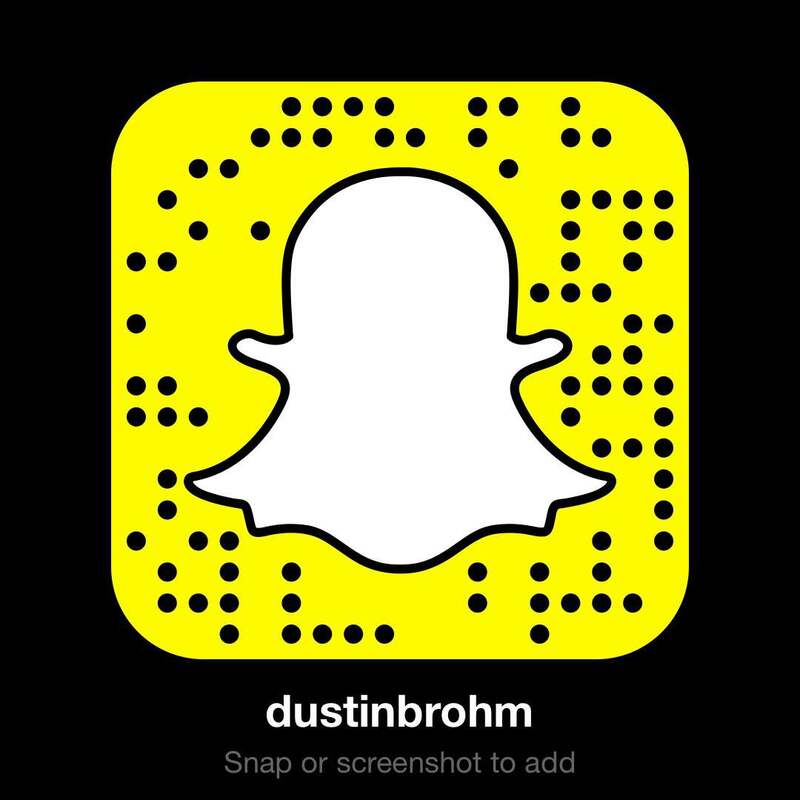 Either type in my username: dustinbrohm - or take a screenshot of my Snapcode. You’ll see how I use Snapchat to tell stories and educate people about real estate and smart home technology, as well as to highlight specific homes for sale in the Salt Lake City area. Even more valuable than snapping your listings, Snapchat shows me to be authentic, unrehearsed and real. These days, people are turned off by the polished, rehearsed salesman giving a sales pitch on why they’re the best REALTOR® for the job. They want to work with someone authentic and real, but who has also given them value and educated them. Although Snapchat is a perfect way to get in front of a younger group of potential clients, don’t think you’re going to start getting business after one month. 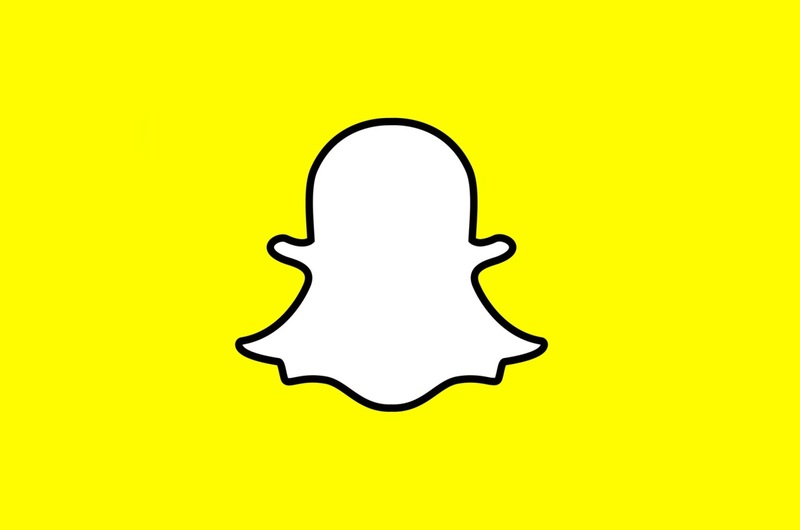 Snapchat is just a tool in your marketing toolbelt, but success won’t happen overnight. It takes time to grow a following on Snapchat, and then direct those followers back to your website and other social media channels. It’s important that you commit to at least 6 months of regular, consistent Snapping. Just like any other form of real estate marketing, it takes time and consistency to see results. But that doesn’t mean it can’t be fun! It all comes down to a simple decision – will you decide to download Snapchat and learn how to use it? Or will you resist it for the next 2-3 years, making excuses like “Snapchat is just a fad” or “Snapchat is just for young people”? Snap it up! 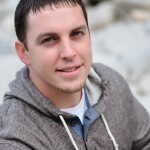 Dustin Brohm is a top Salt Lake City REALTOR®, blogger, smart home expert, and founder of SearchSaltLake.com, a website & blog serving and educating home buyers and sellers in Salt Lake City, Utah. Dustin loves new technology, and has become an expert on using that technology to have the most effective real estate marketing possible. 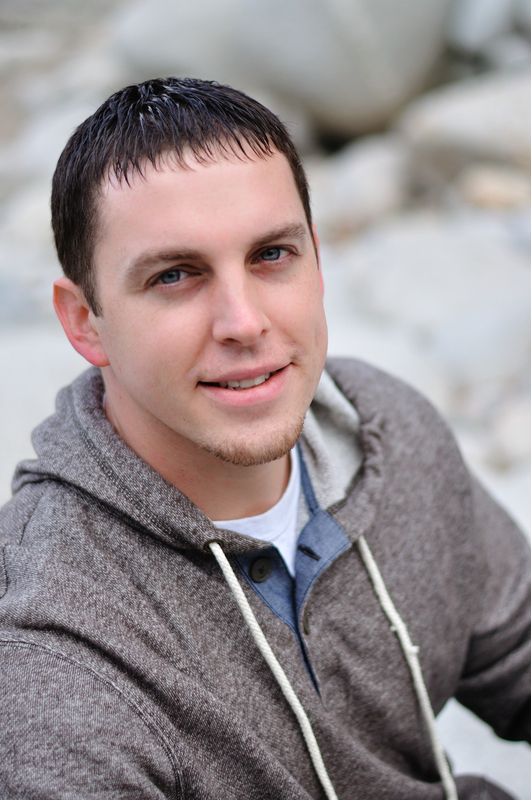 Dustin considers himself an avid traveler, who also loves sports and being in the mountains, but mostly enjoys spending time with his family. His team specializes in selling homes in Salt Lake City and the surrounding areas of Cottonwood Heights, Holladay, Millcreek and Olympus Cove. I for one would have never guessed that Snapchat could ever be used for marketing anything. Boy was I wrong. I see what you mean in terms of giving your followers valuable content in video format. It sounds like we are just seeing the beginning of the Snapchat push into mainstream. You mentioned Gary Vaynerchuk. He is a big part of that, I believe. Thanks for reading, Jamon. Snapchat is just new to most people over 30. But once you get in there and really see the value, it’s impossible not to recognize the amazing upside as a marketer. SnapChat is great because it allows you to give quick relevant videos for potential clients to see. It also creates a sense of urgency. If you have a video on the best kitchen in Salt Lake City, for example, and someone misses it they are are more likely to watch your next one in a timely manner. Good post! How are you expanding your snapchat audience? I add my snap code to all my social media platforms as well listing signs and flyers. It works for both buyers and sellers. We can communicate via text, video, pictures, or drawings all within the app. If I do a snapchat tour of a new listing, buyers can communicate directly and immediately. Note: Since the snaps only last 24 hours it keeps users coming back. You’d think this would be a huge negative, but it works! Even if you only have 20 people watching your snaps, keep going!! Those 20 people are your most current and strongest advocates for your business! Follow me on snapchat for some ideas!